Shows about power hungry, obscenely wealthy family dynasties full of squabbling relatives is somewhat familiar territory to me by now- I wasn’t sure how interested I was in watching one vaguely based on or inspired by the Murdoch clan, especially in this climate. A bunch of rich assholes jockeying for power as they trample all over the rest of us didn’t particularly sound all that appealing. 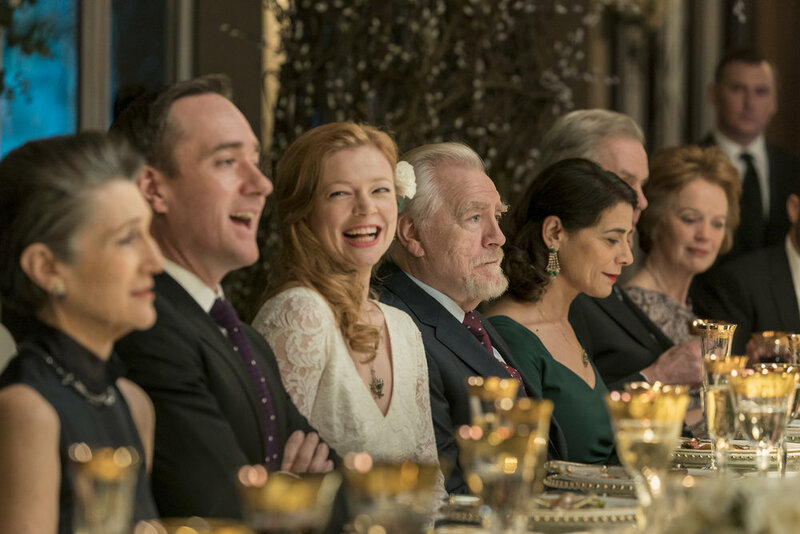 But…HBO’s Succession is created by The Thick of It writer-producer Jesse Armstrong, who knows how to insert enough comedy to make fools out of these assholes, and also produced by Adam McKay and Will Ferrell, so I gave it a shot. I’m glad I did, because in the end, this show is compelling enough to warrant further consideration, and the actors do a good enough job to make you feel invested in their characters by the season’s end, even if it takes a little while to get there. 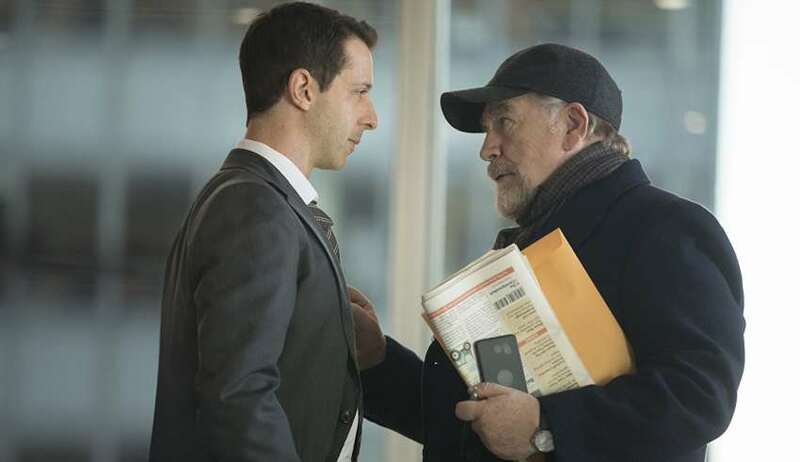 Brian Cox stars as Logan Roy, a media tycoon whose four adult children and heirs spend their time squabbling and vying for power within the company he built and which now owns just about everything- like I said, it’s very Murdoch-esque. Cox is one of the best parts about the show, effortlessly convincing as the dominant, tyrannical, almost frightening patriarch who verbally and mentally abuses his kids while playing them against each other and remaining in the seat of power at the ripe old age of 80, not content to drive off into the sunset and give his weak sons control of the family business. The sons are led by Jeremy Strong as Kendall, the former addict out of rehab who desperately wants to prove his worth and take over the company from Dad, but his pathetic, waffling nature prevents his stepping up to the plate as he continually fails in his behind the scenes corporate wrangling (he’s kind of like the Jared Kushner of the family). Kieran Culkin is the talentless youngest son Roman, who whines and smirks and pretends to side with his brother but fears his father and is an incompetent coward at his core, Alan Ruck is Logan’s oldest son Connor from his first marriage (he’s on wife number three now of course), who lives off his inheritance on a ranch in New Mexico and stays out of the business while enjoying the spoils of it, and Sarah Snook is the daughter Siobhan, resentful of her dad’s favoritism towards his sons and spites him by working in politics on the other side of the aisle from his moneyed interests. The family dynamics are what make the show interesting, as the siblings alternately seem to hate and love their dad, and each other, everyone capable of nasty broadsides and vicious exchanges (this is from a Thick of It/Veep writer after all) that turn on a dime as they always congregate back together at an extravagant gathering (each episode seems to center on some kind of party or gala or PR event, recalling oddly enough, shows like Gossip Girl- I guess this really is how the extremely wealthy spend their time). At first it seems abrasive, but there’s enough of a weird bond in this family to eventually pull you into these character’s lives, especially as the stakes in the corporate warfare and father-son battle escalate as the season builds. And the very Veep-like dialogue infuses this with enough humor to be entertaining at all times, making it something of a dark comedy in places. Even if the show starts out a bit slow and you wonder when it will kick into high gear, I’d say stick with this first season til the end, when the epic finale brings everything full circle and ensured I’d be coming back for the next season at least. October 19, 2018 by Ariel Shavonne.